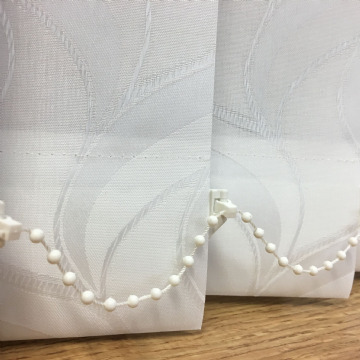 Replacement vertical blind slats in Lapwing White. 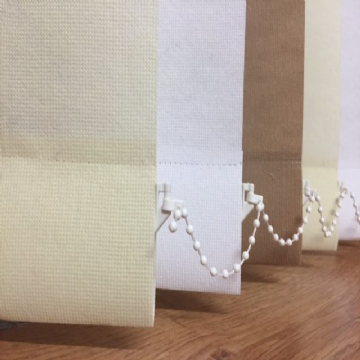 These self coloured replacement vertical blind slats have a self coloured willow pattern that is simple and subtle and will add interest to any window. 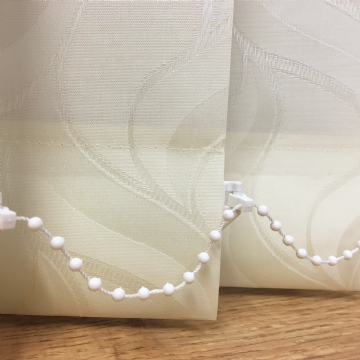 These white replacement vertical blind slats will fit most existing vertical blinds including Argos, Hilary's and Blinds2Go. Simply unpack and hang them on your existing vertical blind rail. 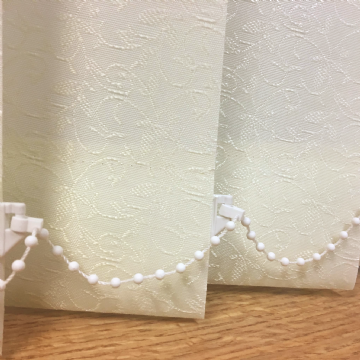 Made from a spongeable 89mm (3.5") fabric your new replacement vertical blind slats (sometimes known as blind louvres) will come complete with new hangers, bottom weights and chain already fitted. 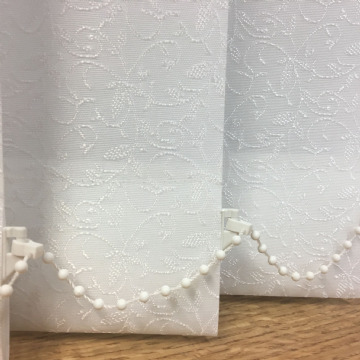 All our blind slats are sewn not glued so will not fall apart in the sun! 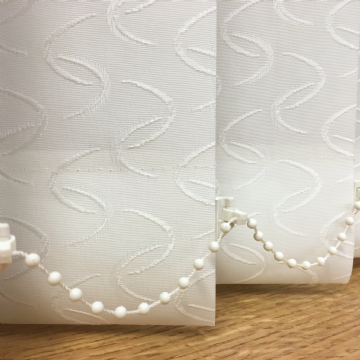 No need to cut down and assemble yourself, we will custom make your replacement blind slats to your sizes, all you need to do is simply hang them.